I adore this beautiful feather lace necklace by thisilk. 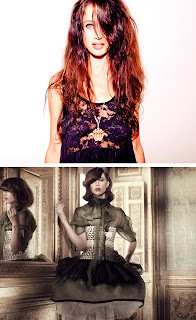 In actual fact, their entire Etsy store is full of beautiful pieces - using a combination of lace pieces and chain... which to add to my cart? When In Need Of A Pick Me Up. 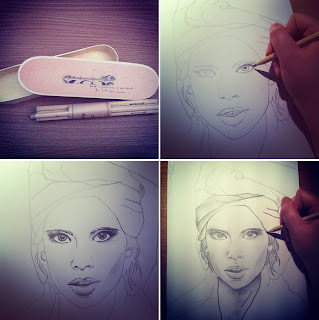 I pick up my pencils and draw. And it feels so good to release whatever is within, concentrate on something different and see where the pencil leads you. The pencils in the top picture were a birthday gift from my oldest sister - they are not only beautiful to look at but so nice to use! 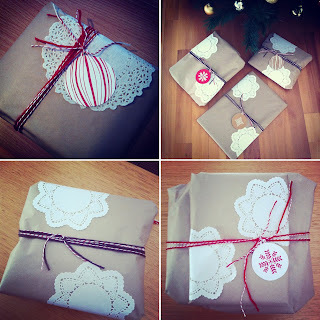 This year I opted to turn away from the glittery goodness of Christmas wrapping and went for a more wholesome approach, channeling the wrapping style that I use for That Vintage purchases. A roll of brown kraft paper, paper doilies, twine and yarn plus some very sweet gift tags that I picked up from kikki.k on the recent trip to Sydney. I love it when I hear people say: "It is too beautiful to unwrap!" - a comment like that validates the extra time I spend on wrapping! 6:20am Christmas morning, on the deck in my pj's with Blossom - watching the sun light up the morning sky... and saying a little Christmas hello to our beloved pooch Jazz in the skies above. It is hard to believe that Christmas has been and gone - that the New Year is upon us. December flies. It always does - the older you get, the quicker it seems to pass you by. I find that the zooming by of a full month leaves you reflective and anxious, ready for the new year to begin, for new and exciting adventures to commence. The That Vintage studio has been in holiday mode for a number of weeks now - it was a hard decision to make, but I personally needed the time out to get myself in the "zone" again. Sometimes, you've got to do whatever it is that you've got to do! I hope you all had a beautiful Christmas and here's to a bright and inspiring New Year ahead! giveaway now closed - thanks to all who entered! 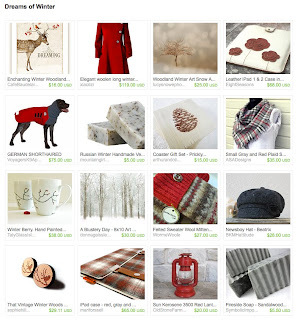 What would the Christmas season be without a bit of giving from That Vintage?! Fleur Pendant, Monarch Earrings, Hazel Earrings, Sweet Dove Brooch and Sweet Dove Ring. 2 - Tweet about this blog entry on Twitter, tagging @thatvintage in the tweet. Do all of the above and you'll get three entries into the giveaway! Giveaway closes Sunday 11th December, 8:00pm AEST - winner will be drawn at random and contacted via email - please include your email address in your comment! 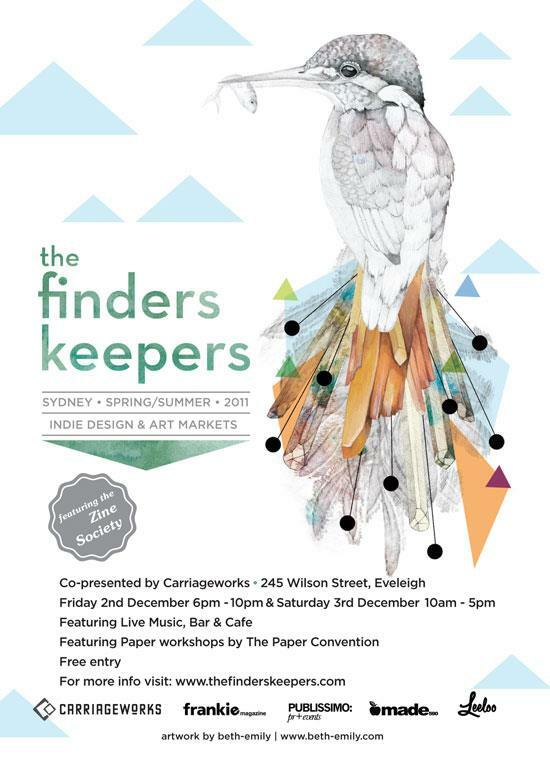 Finders Keepers: Done and Dusted! A huge line of people out the front door just before 6pm; once the door had opened, the people streamed in thick and fast... it was almost like watching the doors of a major department store opening just before a huge sale - except Finders Keepers was twenty thousand times better than any department store sale opening! The atmosphere, space and music was fab - live band and a great DJ, it really set the mood to "awesome handmade shopping time" - it was buzzing; oodles of inquisitive lovers of handmade casting their eyes over stall after stall of incredible talent. I got goosebumps a number of times during the event - almost as though I had to pinch myself to make sure this was really happening! It was lovely to meet the amazing fellow creatives, the loyal and adoring lovers of That Vintage and meet the new lovers also - thanks for coming and saying hello! 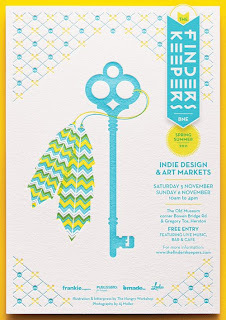 Thanks to the crew at Finders Keepers for putting on such a schmick event - it was an experience I'll never ever forget! It Is Almost Time to Find and Keep! We fly out to Sydney on Wednesday... hopefully dodging the thunder storm that is predicted, suitcases fat full of That Vintage goodness. 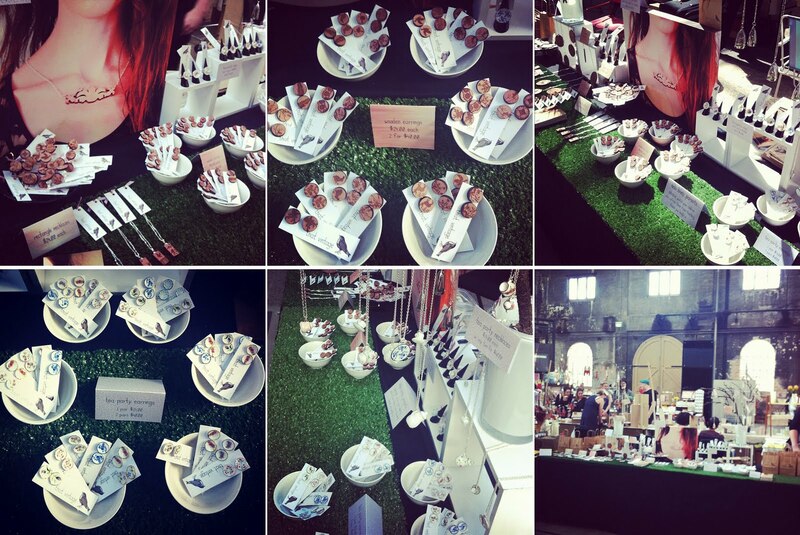 The market kicks off on Friday, 6pm-10pm and again on Saturday, 10am-5pm at the Carriageworks. My "wish list" includes some new pieces of jewellery from eels jewellery + scrimshaw and some cuteness in the form of fabric bows from whiskers lane... oh and sweet leather shoes from the horse. 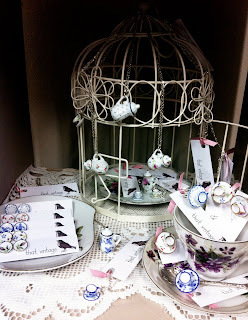 Plus oodles more which I'll stumble upon if I get a chance to wander out from the stall! The past couple of weeks have been absolutely nuts! Another Niche: All Wrapped Up done and dusted... the weather was less than kind, but the people still came out to support the handmade design community and St Giles Tasmania. Thankyou to all who came! Get Your Finding And Keeping On. 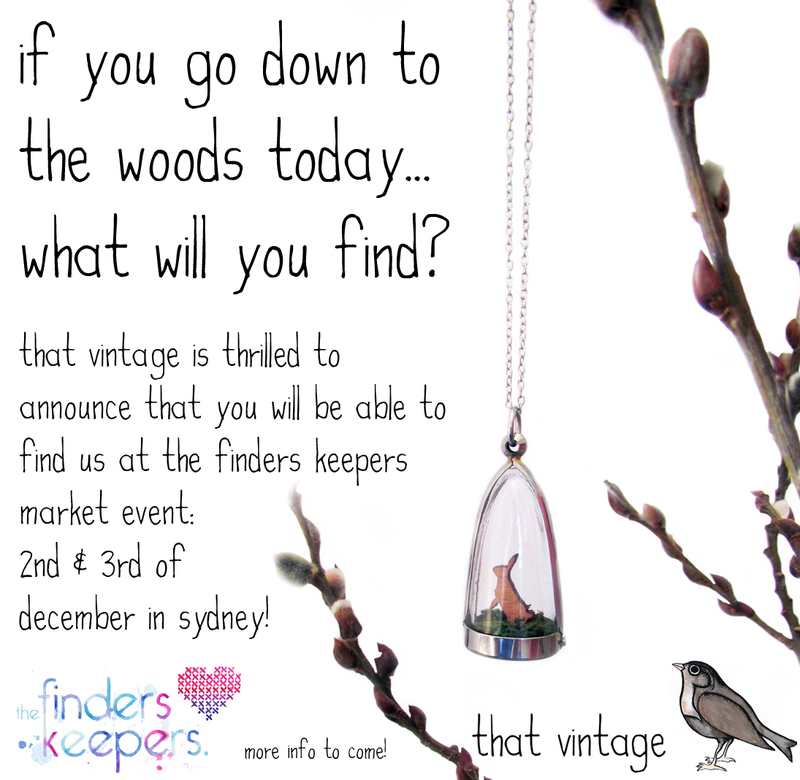 It's that time of year already - Finders Keepers time! The Brisbane event kicks off this Saturday, 5th November, 10am - 4pm - and again on Sunday, 6th November, 10am - 4pm at the Old Museum. The lovely ladies from Style Milk are having another stall at this event - hurrah! So if you are in that neck of the woods, you should pop along and do some finding and keeping for yourself and check out That Vintage goodies on the Style Milk stall. Count down for the Sydney event is... 30 days! Yes - it is true! 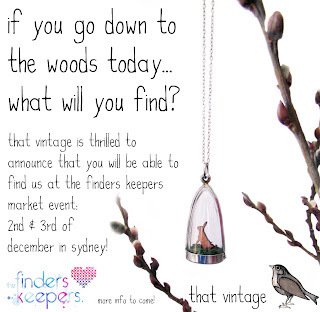 That Vintage will be at the Sydney Finders Keepers Market event and I can barely contain my excitement! 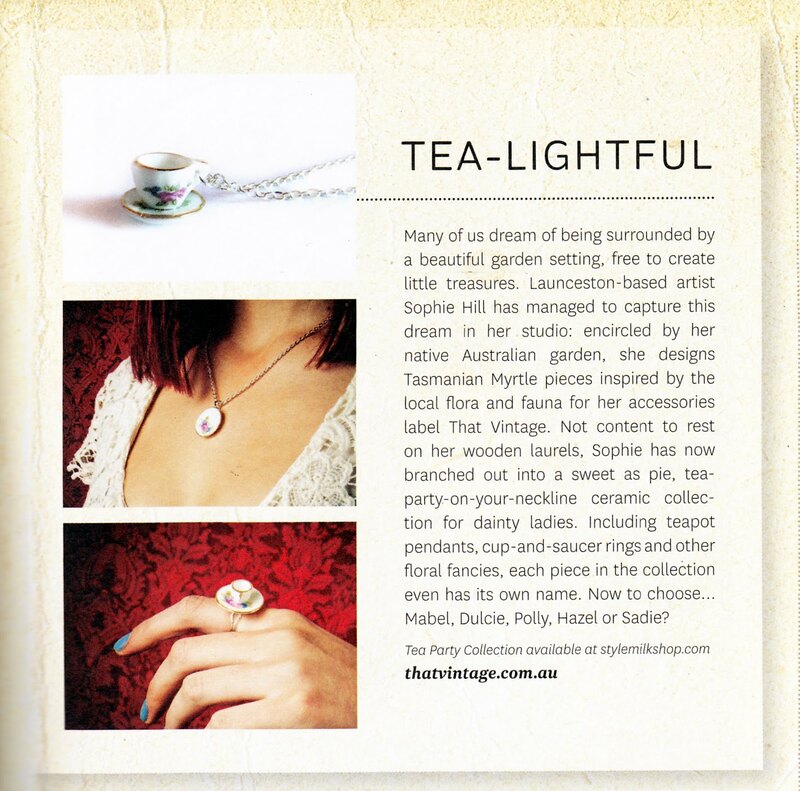 This has been a long standing dream of mine since That Vintage began to grow from a hobby to a small business. If you have a dream that you are passionate about, go and put your heart and soul right into it - you can achieve whatever your heart desires. 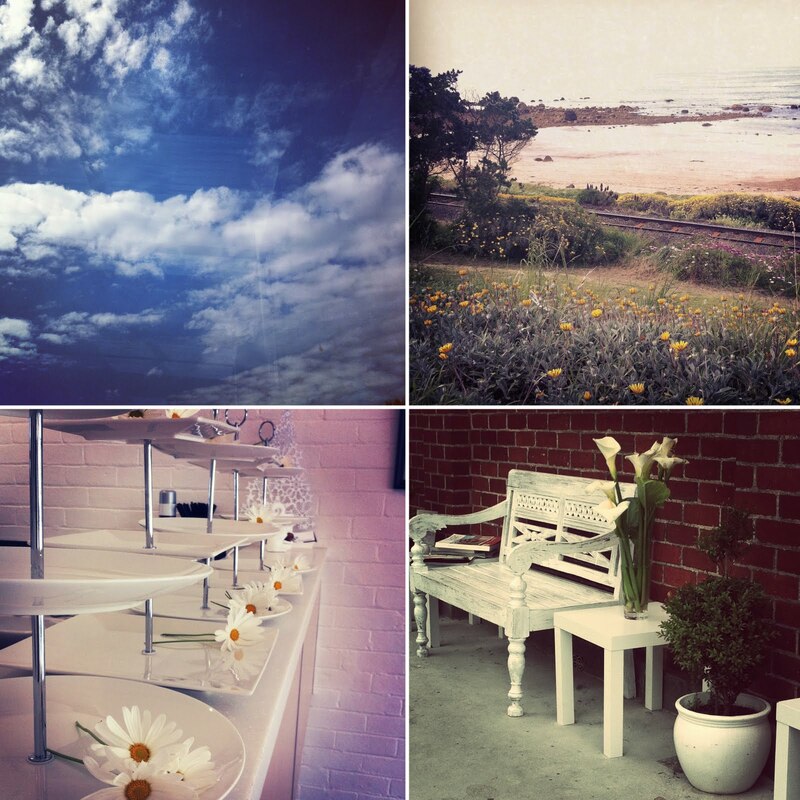 Picked By The People - Part Thirty-one. 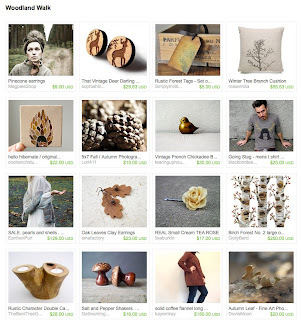 Four gorgeous and cleverly curated Etsy Treasury lists featuring a piece of That Vintage! I have a soft spot for the bird themed one - how cute and feathery! A Tea Party Garden Wedding. And it certainly ended up being that way - the photographs are just divine! Cassie picked the Sadie Tea Party earrings for her bridesmaids, which complimented their beautiful floral dresses so perfectly! The above photos are of the display of That Vintage in at the Kings Meadows Florist - displayed by my very clever friend Lauren. 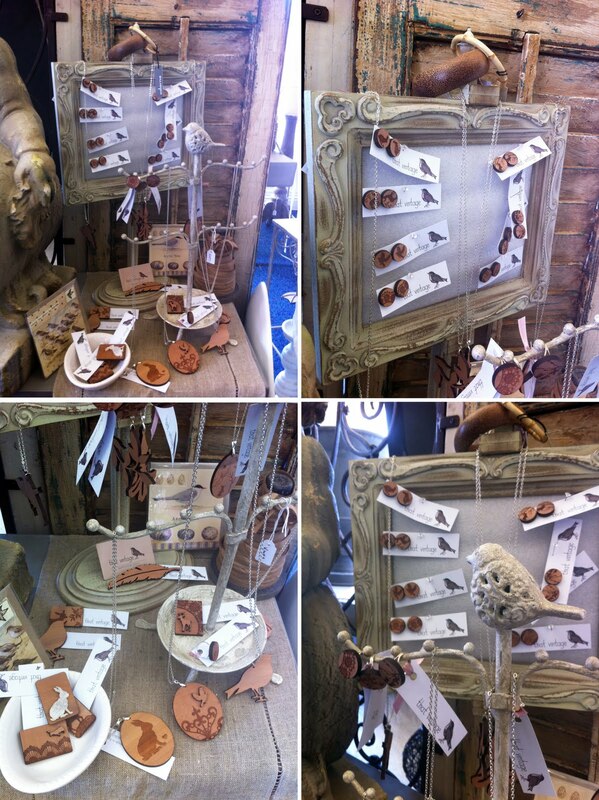 Lauren certainly has an eye for visual merchandising and thinking outside of the box; her displays create little stories and I truly adore that! 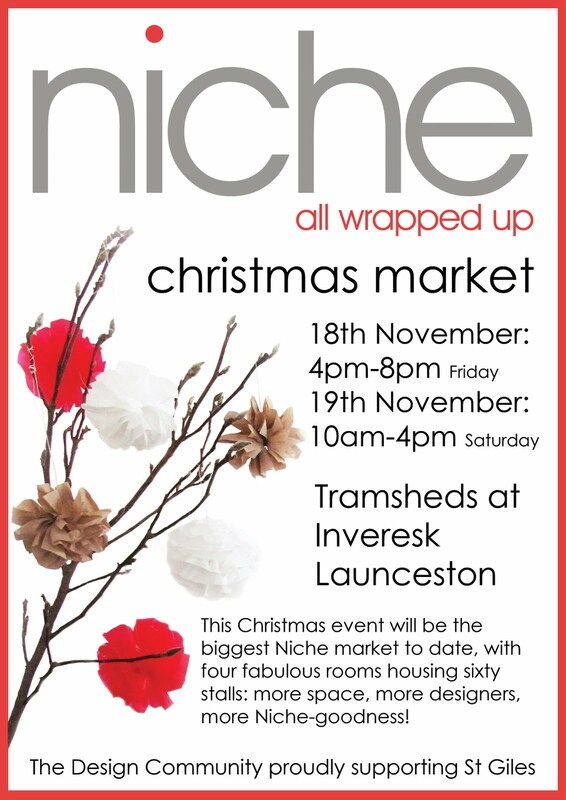 And for all you lucky lovers of handmade goodness who live in or around Launceston, Lauren will be having a stall at the next Niche: All Wrapped Up market event, which may I add is only 30 days away - so check her out on facebook and be sure to follow her blog! 'Tis The Season, Niche Is Just Around The Corner. Can you believe it? Niche: All Wrapped Up is on again in 35 days! It really is so crazy how fast this year is travelling - I had a moment this morning where I was flicking through my calendar, looking at the rest of October and into November and December, I felt completely pooped after just looking at how chock-a-block the rest of the year is! 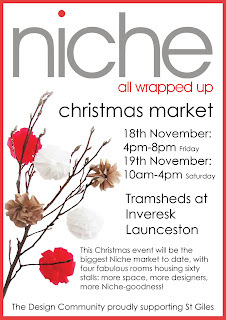 Niche: All Wrapped Up is a fabulous event - the crew at St Giles are fantastic and a pleasure to work with at the market. 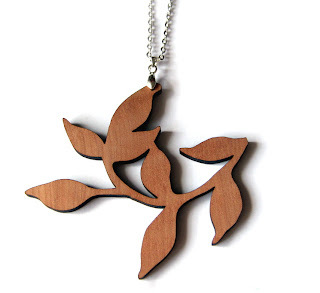 This time around, the market is going to be bigger and better... four huge rooms, sixty stall holders and the "halls of Niche" will be decked out by the talented Lauren from Leaves & Stems. Top secret - I have insider information, but I am not one to ruin a surprise! 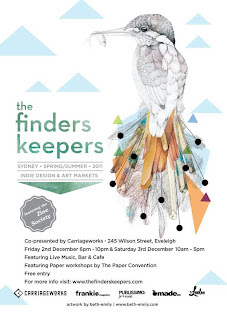 You'll have to come along and check it out! Niche: All Wrapped Up on facebook. Such A Sweet Floral Tea Party. 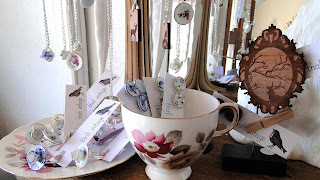 Now, it is no secret... that I love my tea, I love my tea cups, I love flowers and I love what the lovely Lauren Burt at the Kings Meadows Florist does with nature. Now, I also love what she does with the That Vintage displays in the florist shop! Could you seriously get any sweeter? Check out her Facebook page for Leaves & Stems. Picked By The People - Part Thirty. 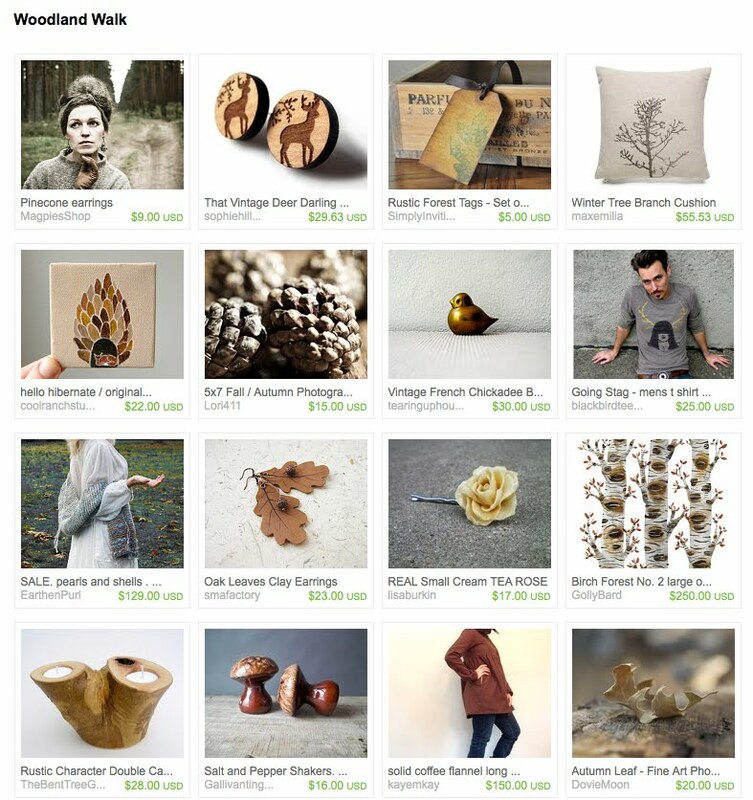 Well, I do love a cosy cuddle-up during the cooler months, but the delicious warm sunshine and bright blue skies of Spring have definitely pushed Winter out of my mind - until the Dreaming of Winter Etsy treasury list by starhitchedwagon came along! 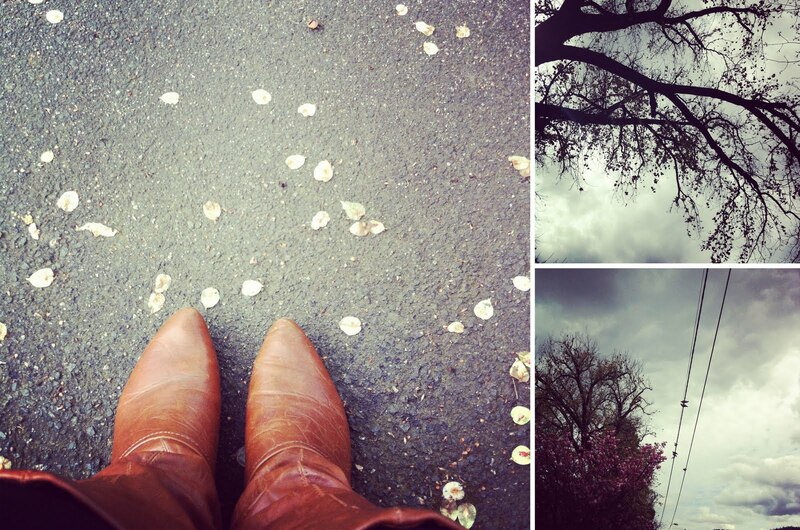 Two Seasons In One Day. It is true about what they say when it comes to the weather in Tasmania and in particular Launceston. Jacket on, jacket off, jacket on, jacket off. Today I had to run a few errands in town but I also stopped off in the beautiful Princess Square park to soak up the fresh air and sit in peace for a moment or two. Walking to the park, there was warmth from the sunshine and beads of sweat were starting to form on my skin, but once I sat down and started to take in the surrounds, the moody grey clouds closed in and all of a sudden, this day of Spring had morphed into a day reminiscent of Autumn. I received a delightful purchase in the mail yesterday, my very first Bamboo t-shirt from The Little White T-Shirt Company ...and it is heavenly soft, comfortable and actually rather stylish! I wore mine today with a floral blazer and the Bird Pendant - great contrast and I was comfortable, win win! It is always such a nice feeling knowing that you have purchased something "good" ...carbon neutral, 100% bamboo and from a small business of the proud owner and operator Lynette - who has a heart of gold and such great customer service! I'll be purchasing another soon! Dane is the ace kiwi chap behind the really fab blog Tornadoes and Tigers, where he features some candid and beautifully photographed moments with his young family, plus puts some deliciously bright spotlights on all things awesome - from illustrators, designers, other bloggers and just really neat cool things. 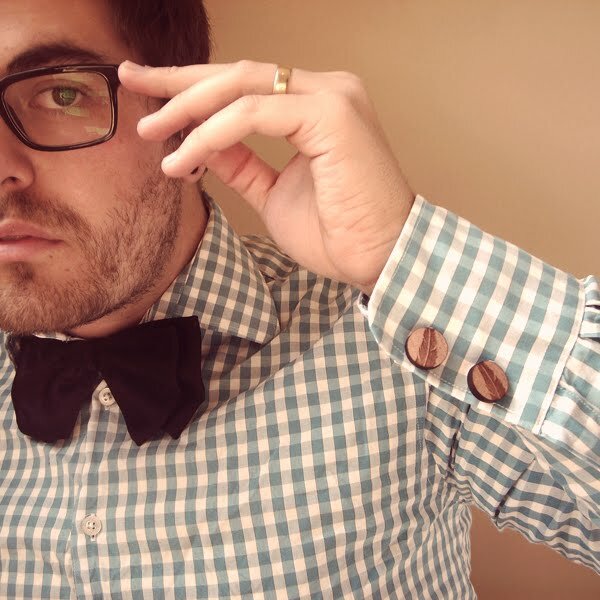 As a surprise letterbox treat, I sent Dane a pair of That Vintage Feather Cufflinks. I had a feeling he'd dig them and dig them he did - he even blogged about them! The cufflinks are exclusively available online at Foxes. And That Is A Pretty Pink Wrap. The lovely Madeline was last night eliminated from the Australia's Next Top Model competition. 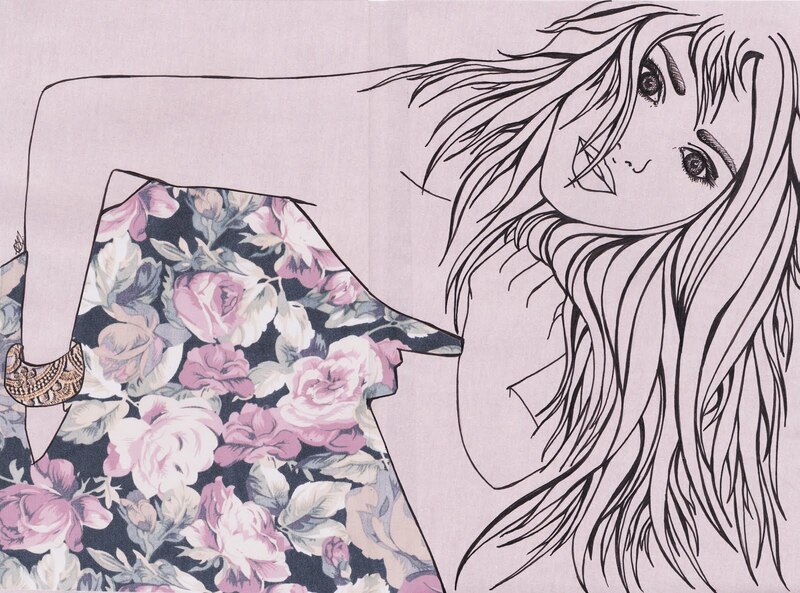 But she went out on a bright pink, dripping-in-paint high! Just look at how amazing her photograph is! I would say, in my opinion, that would be her best shot in the competition and all the girls looked like they had such fun rolling around in a trough of pink paint... and posing with cute boys! Big things lie ahead for this girl; her parting words were true, she was who she truly is during the competition, complete with all the little animated animal and dance moves! Do not be fooled, I did not have a tea party for fourty-eight guests... as much fun as that would be! Fourty-eight Tea Cup & Saucer necklaces were made yesterday. 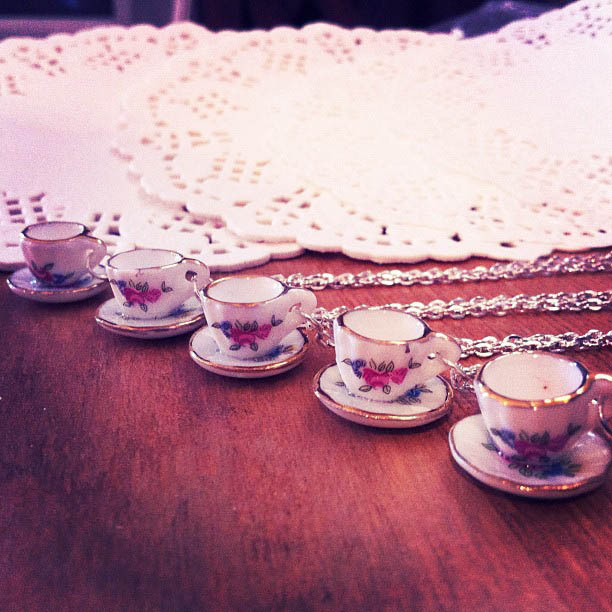 That's a lot of little miniature tea cups! 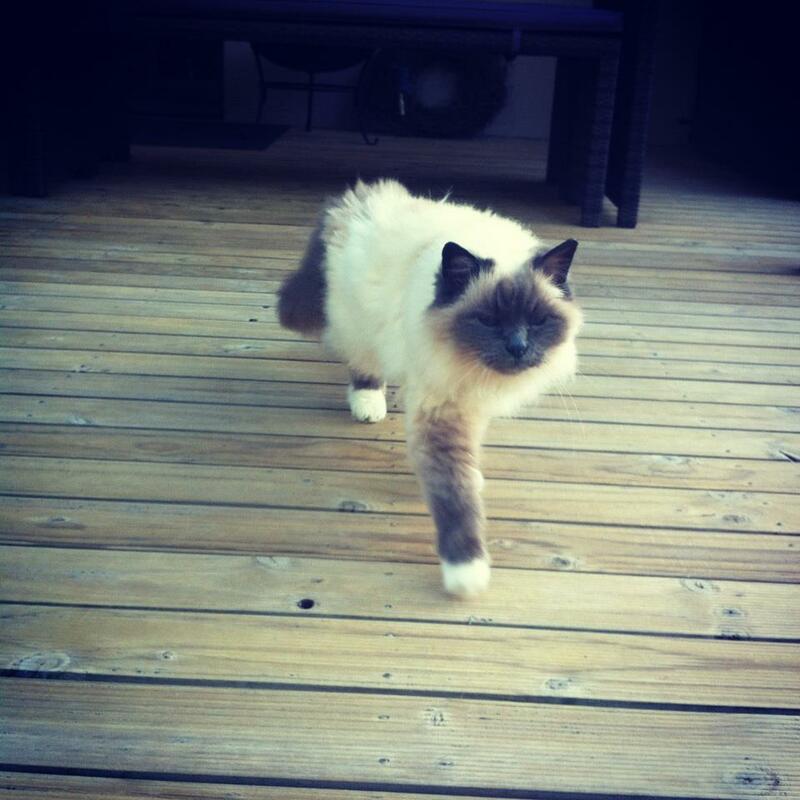 I spent this morning out in the sunshine in our garden with a cup of green tea and my kitty Blossom in tow - she now follows me around like a dog, it's amusing but oh-so cute. The warmth from the sun on your skin instantly makes you feel positive; our garden was glowing this morning so I felt inspired to take some photos and spend sometime observing. 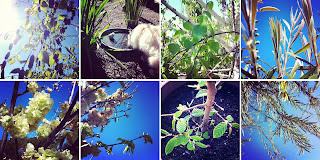 Our Australian native plants are starting to bloom with their intricate flowers, the blossom blooms on the Golden Elm tree are starting to wither as the buds of the new leaves start to evolve and my all time favourite Silver Birch trees are now thickening up with lush green leaves and their whispy pods that as a child, I remember picking and rubbing them between my fingers to let loose all their little poddy-goodness. 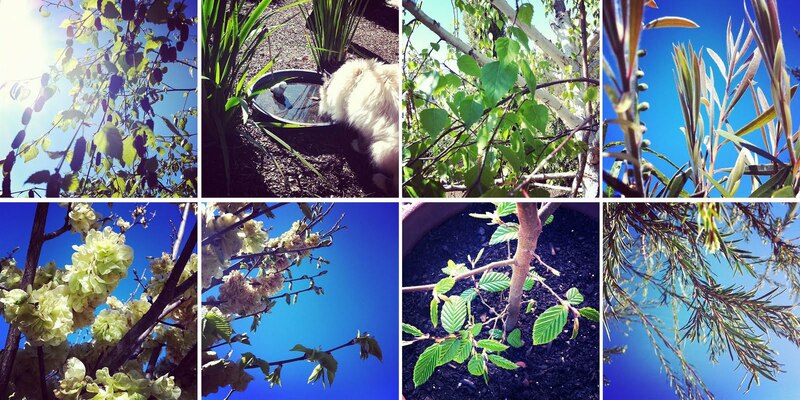 Oh nature and Spring, you are such a delight. Oh To Live Life As A Cat. Bathing in the sunshine on a beautiful Spring morning. 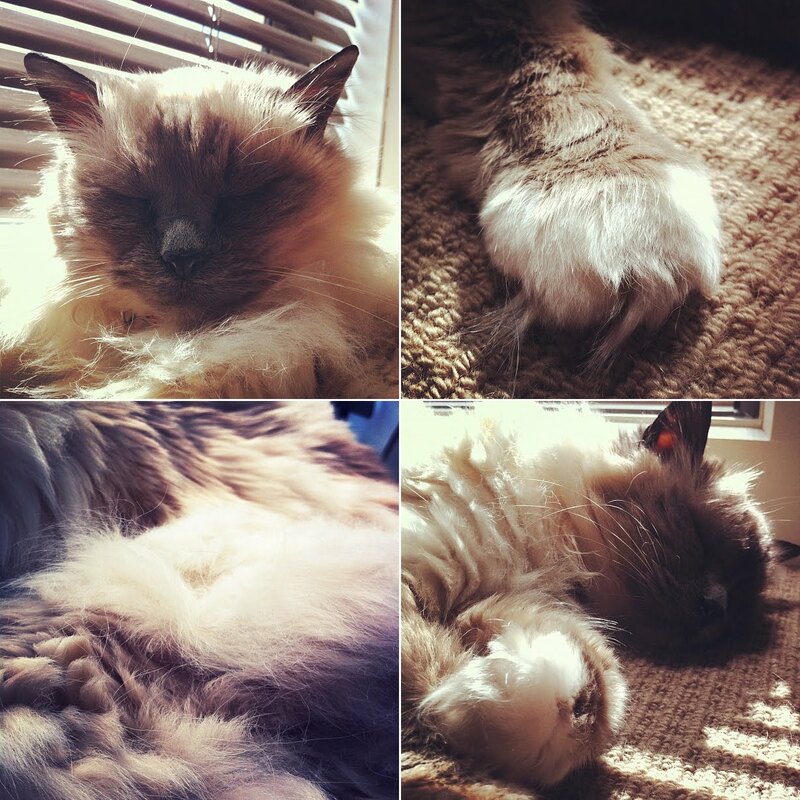 My sweet, old kitty Blossom sure has the life. Picked By The People - Part Twenty-nine. 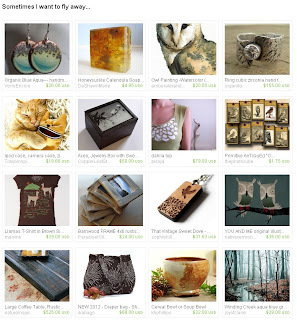 A sucker for anything woodland... hello cute little Etsy treasury list! 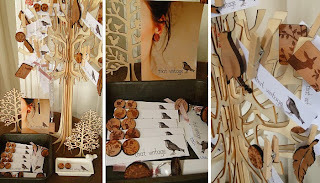 Woodland Walk curated by juliegarland is such a beautiful mix of wooden pieces, pine cones, birds and of course the woodland icon of the deer. 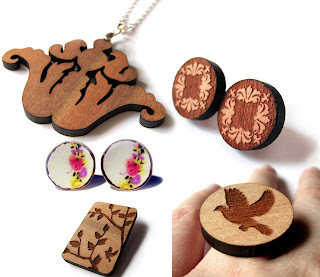 I am in love with the Pine Cone earrings, if only I had my ears pierced! How sweet! Another little road trip out east, zipping by the beautiful lush green Tasmanian countryside - cows, goats, eucalyptus trees, rolling hills of the brightest green grass... destination: Scottsdale Florist & Gifts, a stockist of That Vintage. It was worth the, albeit windy-road, drive out; the shop is beautiful - there were so many things I wanted to purchase! In the end I came home with a gorgeous new cabinet and drawer set, (photo to come later, when I find a home for it here!) 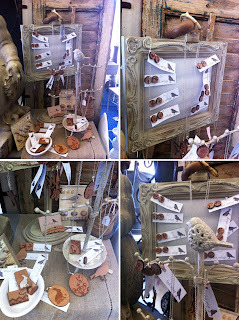 and also took some snaps of the That Vintage display - which was so beautifully done! 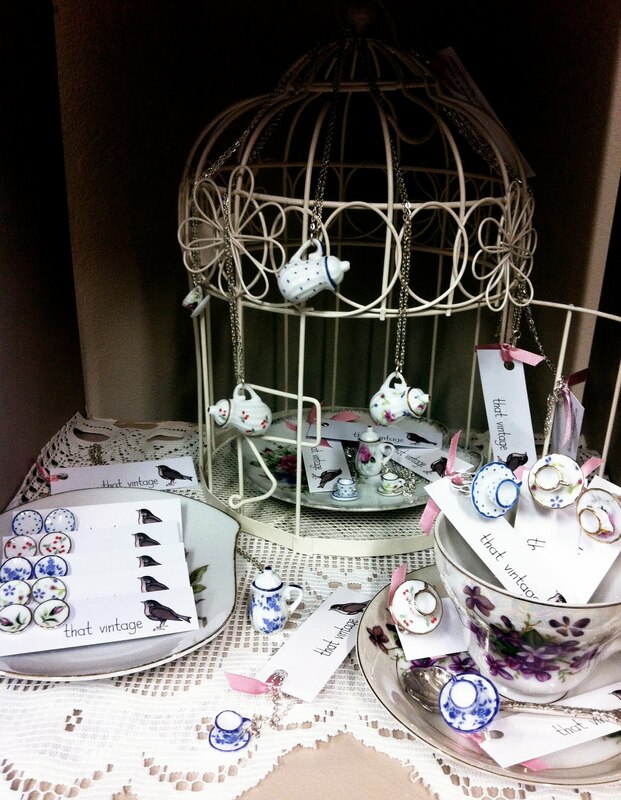 Scottsdale Florist & Gifts has also just taken on the That Vintage Tea Party range - so if you are out that way, be sure to pop in - you won't leave empty handed! Picked By The People - Part Twenty-eight. 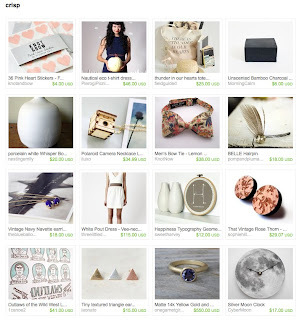 What a delight the above Etsy Treasury list "Crisp" curated by sadiedesignsca is! Personally adoring the "There Is Thunder In Our Hearts" tote bag and the "White Pout Dress." Something so simple, clean yet beautiful about this collection! 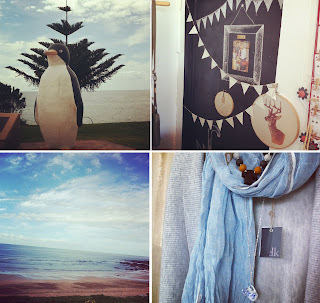 A little eye-candy for you of a trip to the north west coast of Tasmania, namely the town of Penguin to visit the wonderful store of Nest. A Break From The Norm. 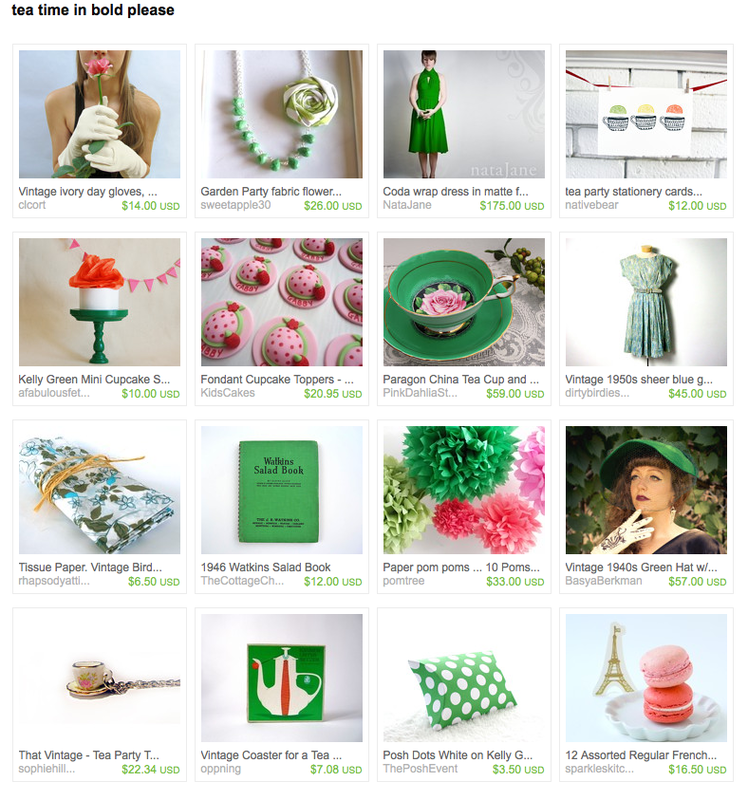 At the moment, I have a lot of built up creative energy - sure, I could channel it into some new design pieces for That Vintage (and I will, don't worry!) 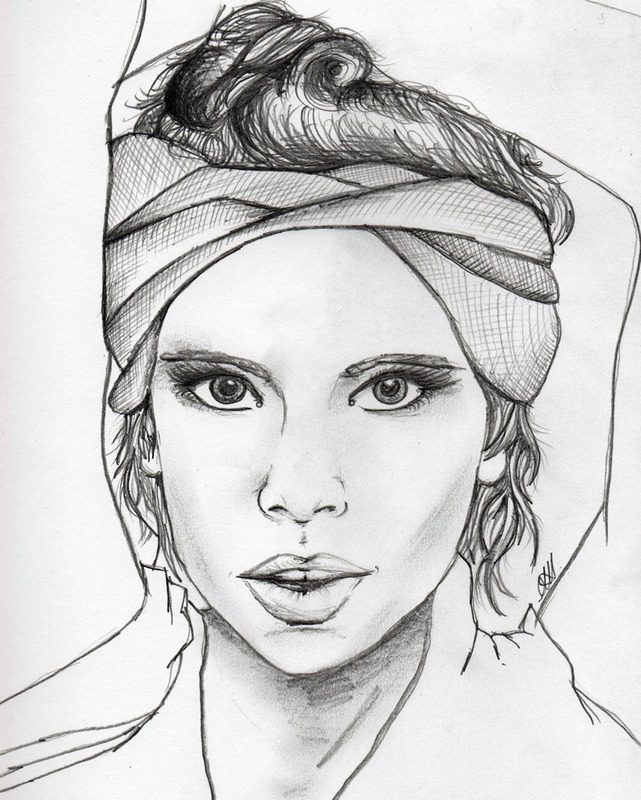 but today I felt like I needed to do something for me. I was flicking through my (rescued) albums of artwork on my new iMac (R.I.P PC) and was inspired by myself (if that is even possible?!) 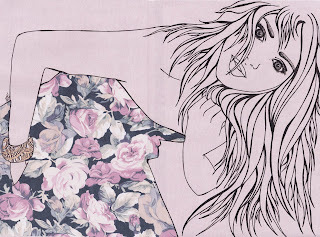 to revisit a style of illustration that I use to do a lot of - mixed collage and line ink drawing. Please click on it for a closer look, the middle is not a smooth join because of the collage background and layering of papers... regardless, I am happy with how it has turned out. My soul feels good - I feel like a release has occured! It is one heck of a divine day outside - what a pleasure to wake up to! Picked By The People - Part Twenty-seven. 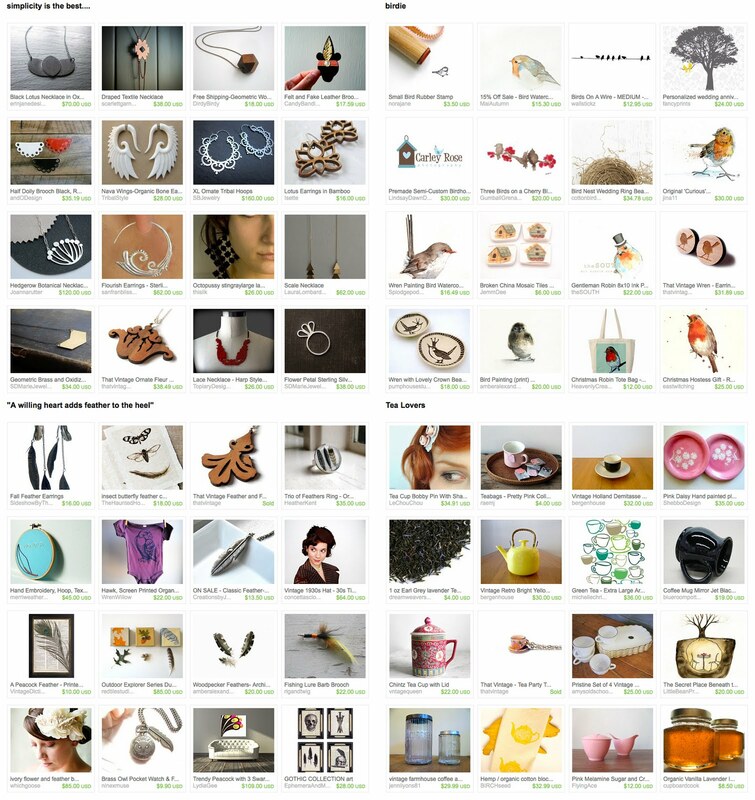 The above Etsy Treasury list reflects the beauty of today here in the deliciously sunny location of Launceston... it has been a long time since we have been able to truly describe it with that word! Spring has well and truly sprung, our garden is looking lush and the deep green buds of life are beginning to sprout into full bloom. What better way to celebrate the bright colours of Spring than sipping a cup of tea in the sunshine - hence why "Tea Time In Bold Please" by thevintagecup is a perfect reflection of this very day! A Little Friendship Love Wrapping. Megan is one of those friends who I can rely on to help out with anything market related for That Vintage - she helps out with packing and loading the stock into the back of her car (a bit like a game of Tetris) to setting up the stall and takes my panicked instructions so gracefully (she's a gem!) 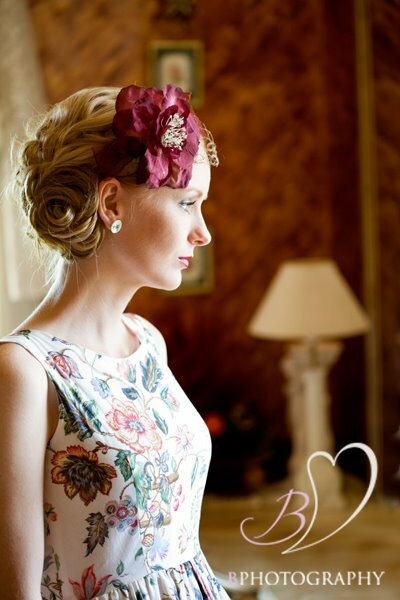 to providing the sweetest customer service to the new and long-time lovers of That Vintage. Aside from her huge involvement in that aspect of That Vintage - Megan also rocks my world on so many other levels - we have had numerous adventures together; dining out, freezing our little toots off in the snow, gazing lovingly at Penguins at the Melbourne aquarium and believe it or not a spot of 4WDing in the mud. A pretty sweet, diverse friendship. Unfortunately the gift I had picked out for her birthday went missing in action in the postal system, another statistic... (Don't worry, I'm chasing it up!) But I knew she had her eye on a particular piece of That Vintage so I spent some extra time wrapping it up to make it that little bit more special... Of course, accompanied with shouting her to a delicious lunch out before a spot of Bridal accessory shopping - yes, she's getting married and I am apart of the show as a Bridesmaid - so super duper excited! So here's to you Miss Megan. Picked By The People - Part Twenty-six. 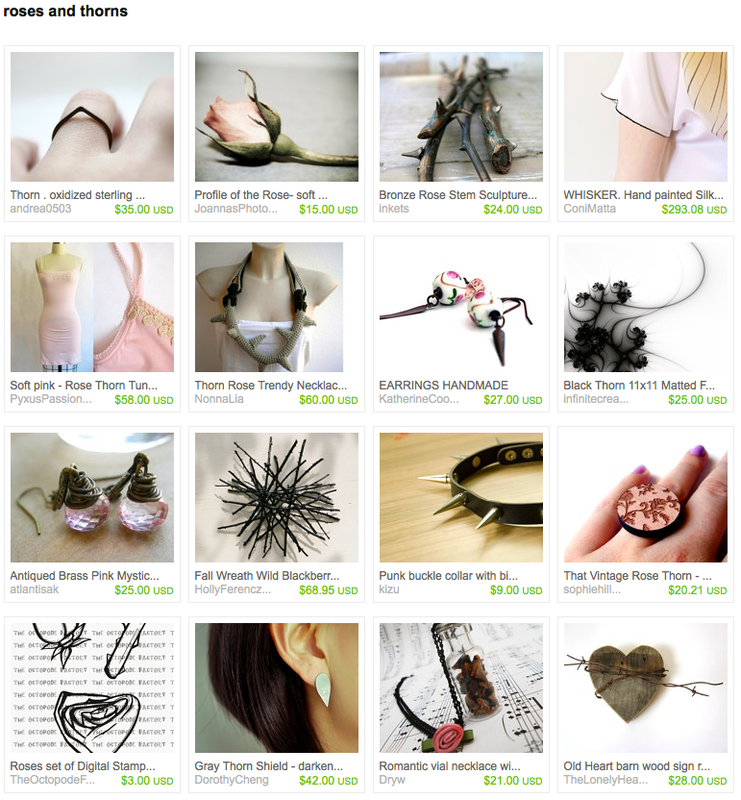 Roses and thorns... a beautiful Etsy treasury list curated by alexandrafa - featuring the That Vintage Rose Thorn ring alongside some truly clever and gorgeous pieces - how amazing is that bronze rose stem sculpture?! Top image by Jesse Hunniford. 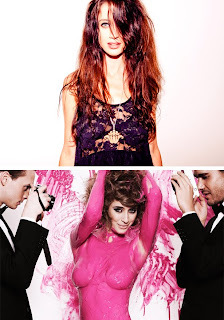 Bottom image courtesy of Australia's Next Top Model. 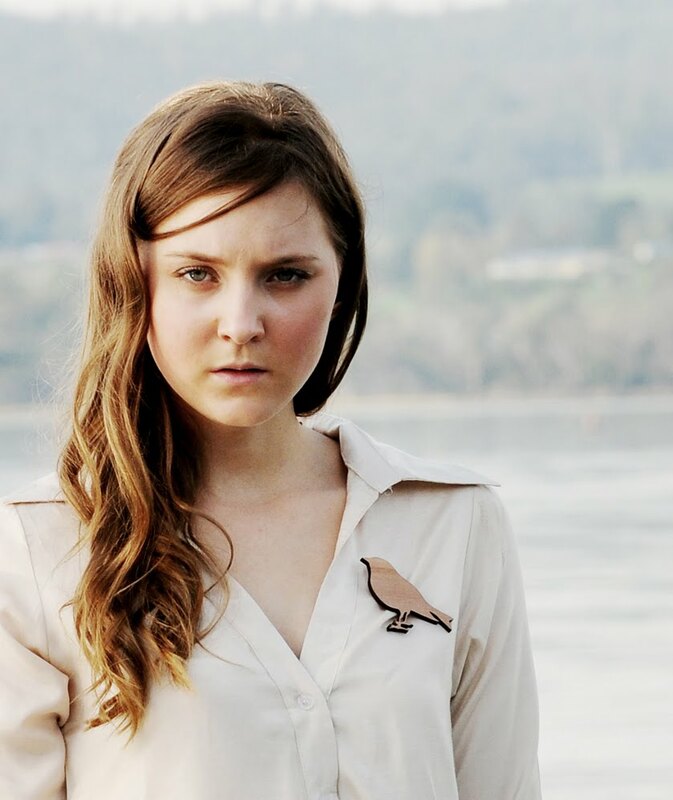 I have had plenty of comments and a few emails from That Vintage lovers, asking about one of the models from Australia's Next Top Model current season - Madeline. "Is that the model in some of your shoots for That Vintage?" - well yes, yes it is! And Madeline is doing such a fab job on the show! Check out her fan page here. For The Indecisive And The Patient. 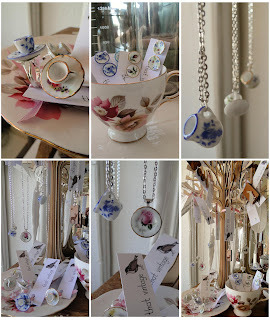 The new colours from the That Vintage Tea Party Jewellery range are now available online at Style Milk - yippee! 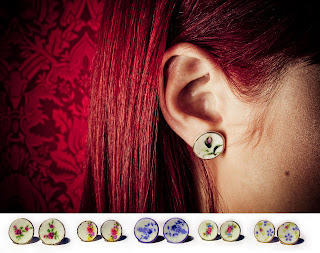 To celebrate, they are generously offering FREE POSTAGE for orders over $50.00au - this means that you could pick up two pairs of the Tea Party saucer earrings and not pay a cent for postage costs! Hurrah! A couple of beautiful photos from the very first "bricks-and-mortar" shop to stock the Tea Party jewellery range, Nest in Penguin, Tasmania - Natalie is one incredible merchandiser, how truly sweet does it look! 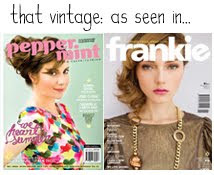 I have been anticipating the latest issue of Peppermint Magazine for weeks... today was the day! Not one but two copies rocked up in my mail box! If you haven't already sussed out Peppermint Magazine, you are missing out - it smells amazing for starters, let alone the incredible content within. 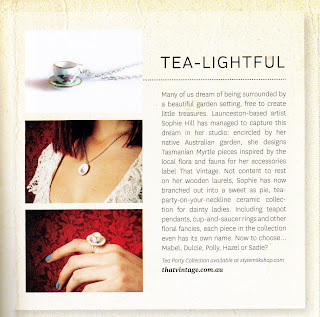 This time around, the That Vintage Tea Party jewellery range got a bit of glory in the limelight section. Also, for those who are thinking of subscribing to this feel-good-eco-friendly magazine, you've got a chance to score 1 of 20 pieces of That Vintage with your subscription - check out the latest issue for more details! Now... I've got my magazine, where is my cuppa?! Picked By The People - Part Twenty-five. You know what, sometimes... I just want to fly away! A holiday would be nice, an adventure to somewhere different - somewhere that would challenge my linguistic skills... oh yep. Maybe Russia? Or Japan? 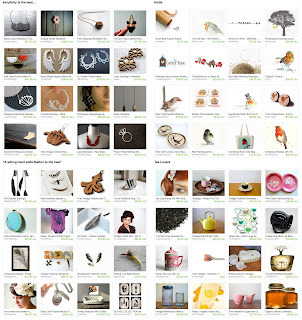 Anyway, how sweet is this Etsy treasury list by dreamspiralart! 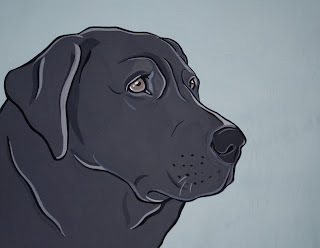 At the end of July, our family went through one of the toughest things possible... losing our cherished labrador dog, Jazz. Jazz would have been 12 years old this year; he was more than just a pet to us - he was like a brother and son in a dogs costume - he was a wise, gentle natured dog, huge heart and eyes that made you melt; and he was a constant guardian of us all. 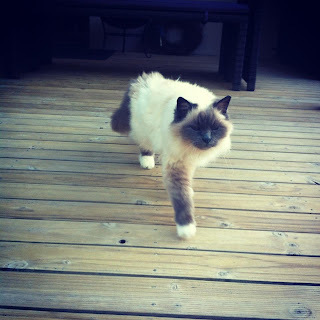 We miss him so very much. To keep his memory alive, I decided to get a portrait of him done by a very talented American artist Manda Wolfe - her Etsy store - her work is fun, colourful and out of the norm of "standard portraiture" and that is what drew me to her talent. We are all amazed with how Manda has captured Jazz in the portrait, his eyes are spot on and when we look at it, we feel a bit of heart-warming comfort. A loving thankyou to Manda for her incredibly understanding and sweet customer service, topping off a truly beautiful portrait. Cup Of Tea In Your Nest. As you may have heard me say this before, I really need to make my way to the beautiful "Nest" on the north west coast of Tasmania - Penguin. It is on the list of things to do along with another trip to Hobart to visit MONA and a new home of That Vintage - ecoHaven; hopefully sooner rather than later! After many requests from shops asking to stock the Tea Party range, I have decided to let the little darlings fly the coup and be housed in beautiful locations like Nest - so expect to see more announcements of where you can find the Tea Party range in the future! 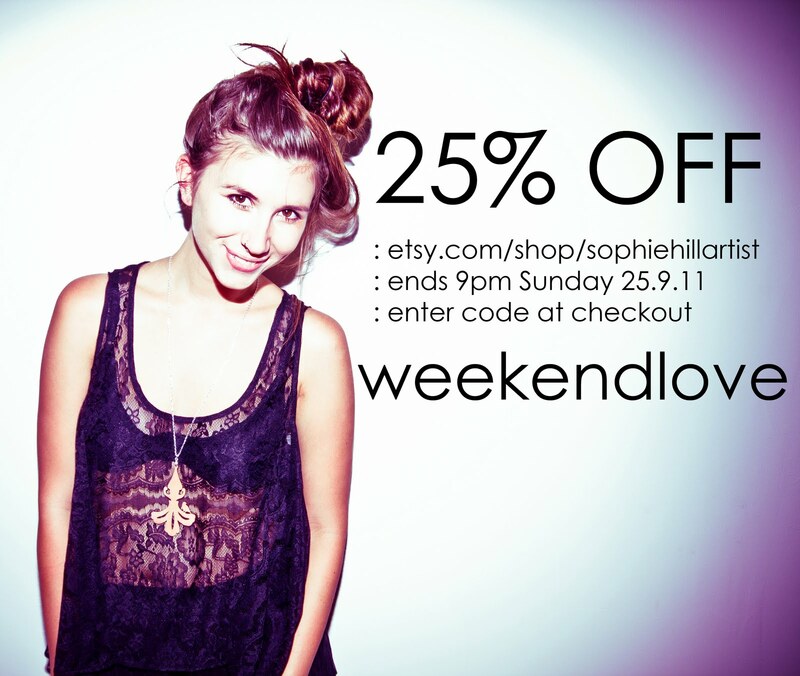 Thanks to all of you who did spread the love about That Vintage! The lucky random winner of the $40.00 voucher is... Kristynja!